Editor failed to remove readers’ comments against the monarchy from website quickly enough. The trial of Chiranuch resumed before a Bangkok court on 14 February after a long interruption, with testimony being heard on 14, 15 and 16 February from five defence witnesses. At the end of the hearing, the court announced that it would issue its verdict on 30 April. Chiranuch’s lawyer said that he was satisfied with the way the testimony by the defence witnesses went and that it would count in his client’s favour. At the end of the 14 February hearing, Chiranuch told Reporters Without Borders she was pleased that the defence witnesses were finally able to give their evidence. 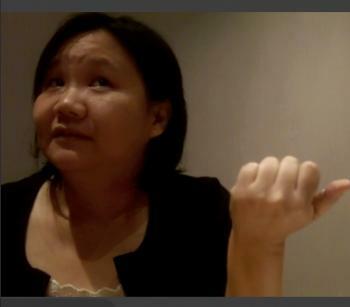 Reporters Without Borders, which urges the court to acquit Chiranuch, interviewed her about the trial, the Thai media’s coverage of the case and censorship in general in Thailand. On 14 August, the court received testimony from Kittiphum Juthasmit, a Prachatai website moderator, Sawatree Suksri, a lecturer Thammassat University’s law faculty, and Jittat Facckaroenphol, a computer science lecturer at Kasetsart University. Kittiphum testified that Prachatai had created a team of 12 volunteer moderators whose tasks included removing unlawful comments from the website but, when the volume of comments increased exponentially after the September 2006 coup d’état, it became impossible to verify all the comments. In written evidence to the court, Sawatree said the provisions of the Computer Crimes Act and other Thai legislation regarding the moderation of website comments compared unfavourably with the legislation in other countries. Jittat testified about the difficulties of moderating a website forum and Prachatai’s efforts to improve its own system, which were cut short by the closure of its forum. Reporters Without Borders attended the 15 and 16 February hearings. On 15 February, Wanchat Padungrat, the owner and administrator of Pantip.com (Thailand’s biggest web portal), said his site used a key-word filtering programme and team of five or six full-time employees to moderate the comments posted by visitors to the site. Chiranuch placed emphasis on a policy of ‘deleting any content that may be false and cannot be verified.’ It shows that she already had taken this precaution back in 2006 in order not to be victim of a lawsuit. Wanchat said that it was nonetheless impossible to verify all the comments because of their volume and in some cases their ambiguity. Verifying comments before they were posted would be too expensive for any Thai website, he said. While certain individuals had been prosecuted under the Computer Crimes Act for the comments they posted on his site, his company had never been prosecuted, he pointed out. Monitoring all comments was impossible from both a technical and commercial viewpoint, he stressed. Around 30 people attended the February 16 hearing, including representatives from the Canadian, Finnish, Swedish and US embassies, a representative of the Helsinki Commission, C.J. Hinke of Fight Against Censorship in Thailand (FACT) and other activists. Professor Pirongrong Ramasoota, an expert in communication from Chulalongkorn University, submitted written testimony but did not speak in court because the prosecution chose to accept his evidence without disputing any of it. Pirongrong’s written testimony consisted of a survey of Internet forum regulation since the 2006 coup that included Prachatai as a case study. The judge insisted during the February 16 hearing that the case against Prachatai was politically neutral. The defence now has 30 days to submit final written arguments. Both the prosecution and the defence have the possibility of appealing against the verdict that is due to be issued on 30 April.